Stainless steel casing. Chrome finish. Packed in a tin with EVA insert. Product Size: 50 x 40mm. Product Packing: Tin with EVA insert. Decoration Size: Bezel 6mm wide, Box 60 x 40mm. 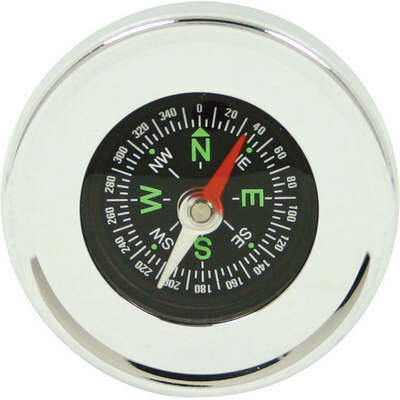 Decoration Position: Front of compass, Lid of tin. Decoration Method: Pad Print | Laser Printing. Carton Quantities: 60. Carton Size: 28 x 24 x 32. Carton Weight: 9. Colour: Silver. Price includes: See drop down menu for decoration options.